College Magazine has ranked the University of Alaska Southeast as one of ten best schools in the U.S. offering marine science degrees. 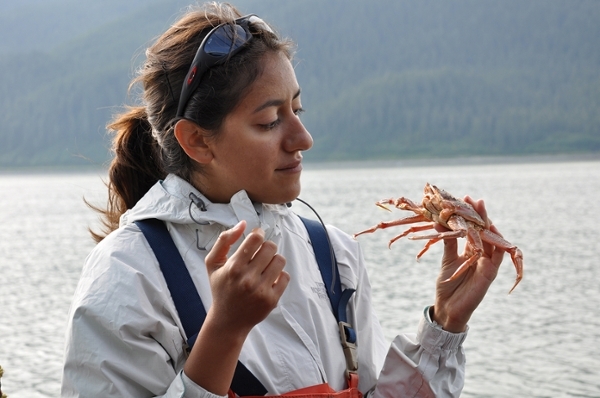 UAS offers undergraduate degrees in both marine biology and fisheries. The ranking takes into account the access that UAS undergraduate students have to hands-on education, internships, and research opportunities. “The UAS Marine Biology program is located directly on Alaska’s Inside Passage and students explore and study the marine intertidal routinely during their classes. What makes this experience unique for students is that they are also within walking distance of the main UAS campus, dorms, and campus life. Our students work with marine biology faculty who all provide rich research opportunities that include field and laboratory experiences,” noted Dr. Sherry Tamone, Professor of Biology and Chair of Natural Sciences at UAS. UAS employs top-notch faculty in its science programs. Biology and Marine Biology students benefit from faculty actively involved in many disciplines, including marine ecology, marine mammalogy, phycology, comparative physiology, neurobiology, population genetics and conservation biology. The national recognition specifically references the UAS Undergraduate Research, Experiential & Creative Activities (URECA) program. This enables students in sciences as well as creative areas to design and implement their own extra-curricular plan, mentored by UAS faculty, and includes up to $2,500 in funding. Marine Biology student Madison Bargas notes, ““The small community at UAS makes it really nice for students to get to know their professors and allows great opportunities to get experience in their field. Many biology professors have opportunities for students to work in their labs and/or create independent study projects to broaden their education outside of the classroom." To learn more about UAS Biology and Marine Biology degree programs, and to explore other natural sciences, visit the UAS Natural Sciences website. Academic advising for science programs is available by calling (907) 796-6200.